Prime Minister Nguyen Tan Dung and his Lao counterpart Thongsing Thammavong co-chaired the Vietnam-Laos investment cooperation conference in Vientiane on Sept. 10. At the conference with the participation of more than 300 businesses from the two countries, Lao leaders briefed the participants of their country’s potentials and investment encouragement and discussed issues of Vietnamese investors’ concern. Vietnamese businesses proposed the Lao Government have policies for training local workers and increase investment in building transport, power and communications infrastructure in regions where bilateral cooperation projects are being carried out. They said they hoped the Lao Government will continue creating a transparent investment environment and reforming investment procedures to facilitate Vietnamese businesses’ long-term investment in Laos. Addressing the event, PM Dung proposed the two Governments develop a favourable legal environment to speed up the implementation of licensed projects and give orientations of cooperation for localities and businesses. Both sides’ localities need to increase dialogue and information exchange as well as apply new appropriate forms of cooperation to promote their advantages and potential, he said. The PM also urged businesses and investors to accelerate progress of projects, raising efficiency in cooperation. The Vietnamese Government highly values Laos’ policy of promoting special friendship with Vietnam as well as its efforts to facilitate Vietnamese investors’ operations in Laos, PM Dung stressed. 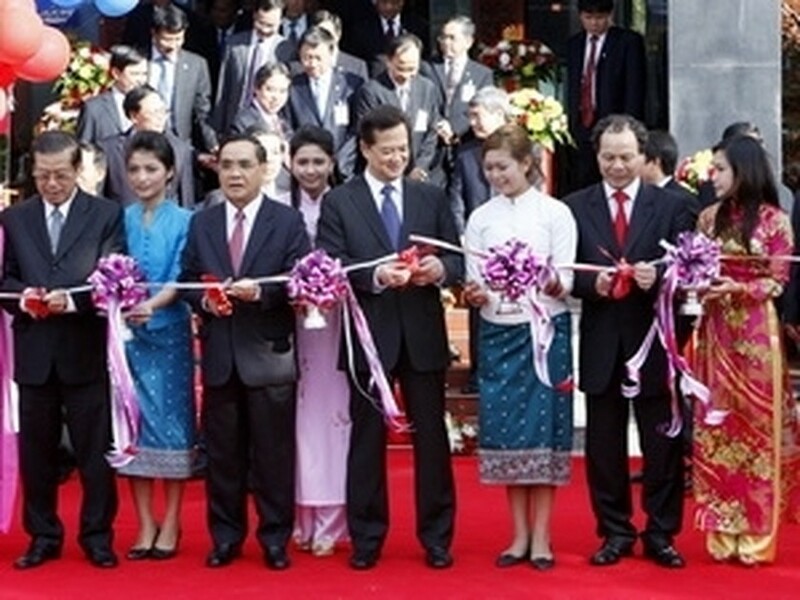 Lao PM Thongsing Thammavong affirmed Vietnam’s investment projects in Laos have contributed to Laos’ socio-economic development, adding that Vietnam is an exemplary foreign investor in Laos. While affirming that the Lao Government always encourages and creates conditions for Vietnamese investors in Laos, he called on Vietnamese firms to continue investing in Laos at a larger scale. 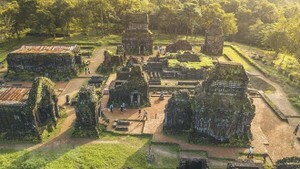 At the event, the two PMs witnessed the signing of a number of important projects, including the construction of a hydro-electric power plant by the Hoang Anh-Gia Lai Group, the Petrolimex Laos, the five-star Vientiane Complex, and cooperation agreements on construction and development of a new airport in Houa Phan province and several hydro-electricity plants. Also the same day, the two PMs attended a ground-breaking ceremony of the 70 million USD hotel and apartment Vientiane Complex. Vietnam is among leading foreign investors in Laos with 203 projects worth 3.3 billion USD. In the first eight months of this year, the total registered capital of Vietnamese firms in Laos reached 469 million USD. Vietnam’s projects mainly involve in services with total investment of 1.07 billion USD, electricity with 867 million USD, and agriculture with 791 million USD.